The Perfect Gift for the Aviation Lover. A WAC Membership is the Perfect Stocking Stuffer! Gift giving can be super tough. What to get the person who has everything? Every toy, every gadget, every… everything. We have an idea that might get you bonus points this holiday season. Thanks to an amazing partnership with local businesses called the Gold Wing club, we’re able to offer some really great local discounts on things like hotels, fine restaurants, Tornado Transit and even a local shooting range and training facility, Thunderbird Firearms Academy. Catch up on all the juicy details here, but this alone makes a WAC membership incredibly enticing! Who doesn’t like a little extra status around town? Whether aviation is a pastime or ambition, the Wichita Aero Club events present ample opportunity to network with others in the industry. Learn from those who have been around for years. Those who have risen to the top. Those who are well on their way. Hear their stories, shake their hands, store their business cards in your wallet. Find out where you fit by taking a seat next to someone who can help you find the most exciting, thrilling and comfortable chair around. Consider our mission statement: The Wichita Aero Club was established to foster and promote interest in aviation, to provide a forum that focuses on the industry’s issues and achievements, and to bring together those with a passion for flight in an environment that expands and enhances professional relationships and furthers cooperation and understanding. Everything the Club does has these goals and values in mind. 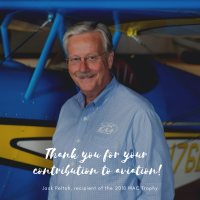 To say the people involved are passionate about aviation might be an understatement… it’s more like they eat, breathe and dream about it in one way or another. 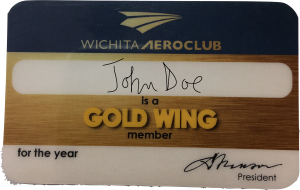 If you or someone you know might thrive in an aviation-enriched environment, a Wichita Aero Club membership is the absolute perfect place to start. So, have you thought of someone who fits the bill for a membership? That young family member who mentioned he’d love to study aviation? Your secret santa co-worker who has a model Cessna 182 on their desk? Or maybe you want to convince your boss to get your company more involved in the community. That’s fantastic! Now you’re wondering how much it costs, and what the next step is. We’re glad you asked. There are lots of different levels of membership, and you can get details on all of them over on the signup page, but a corporate membership is $1,000 annually, and an individual membership is only $100 annually. Yes, you read that correctly. It’s that affordable! The sign up process is really simple, too. You can pay right online, and we’ll send you the material you can gift. Ready? Go here to make someone smile this Christmas. We’re happy to answer any questions you have along the way. 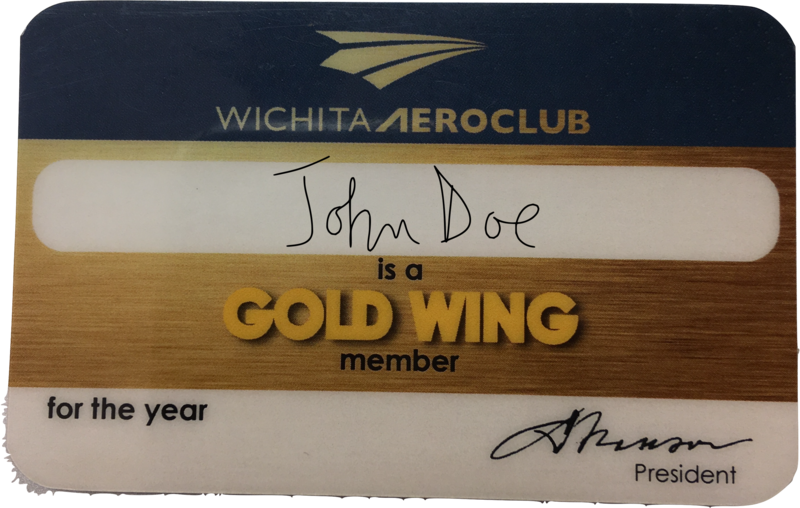 Just shoot a note to info@wichitaaeroclub.org.